The Christian Association of Nigeria has reacted to Saturday’s murder of a female Christian preacher by suspected fanatics, urging Christians to prepare to defend themselves. Eunice Elisha, a Redeemed Christian Church of God’s pastor, was hacked to death at the Gbazango area of Kubwa, Abuja, by suspected Muslim fanatics, while conducting an early morning preaching. Shocking photos of the attack show her badly-battered body lying in the pool of blood, next to her megaphone. No group has claimed responsibility for the murder, but the FCT police said they had arrested suspects. On Monday, wife of Vice President Yemi Osinbajo, Dolapo, visited Mrs. Elisha’s traumatized family. In its first formal response on Tuesday, CAN said the attack was “yet another religious, hatred-motivated gruesome murder” that was growing under the Muhammadu Buhari administration. “The discrimination against non-Muslims in Nigeria under the Buhari Administration is assuming a dangerous dimension that should not be left to the vagaries of time and circumstance to resolve,” the organisation warned. The group warned that “Nigeria is dancing a macabre dance of death, both for the nation and for its citizens”. 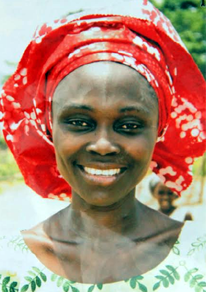 The National leadership and the entire members of Christian Association of Nigeria (CAN) have received with rude shock and disbelief the report of yet another religious hatred motivated gruesome murder of a dedicated 42 year old Christian mother of seven children, Mrs. Eunice Elisha, who on Saturday 9th July, 2016, was brutally killed while doing Christian evangelism. You will agree with me that with these happenings and the lukewarm attitude by the authorities concerned toward putting an end to it, Nigeria is dancing a macabre dance of death, both for the nation and for its citizens. It is time to stop the beat and let common sense guide the nation out of the present quagmire. A stitch in time saves nine. The unprovoked attacks on Christians and the authority’s inaction is becoming unbearable and may not be tolerated anymore, inasmuch as we will continue to call on Christians to remain tolerant and law abiding, it is becoming inevitable to also call on them to buckle up and be ready to defend themselves against these incessant unprovoked and mindless attacks.